are you ready for the thrill? Make the most of your Queenstown adventure and save up to $61 with our epic Queenstown Jet boat Combo deals. Combine Jet boating with KJet and Bungy Jumping, Queenstown Gondola & Luge, Milford Sound Day Trips, Queenstown Lake Cruises, Shark Ride & Parasailing, Wine Tours, Scenic Helicopter Flights or Indoor Skydiving. We have something for all adventure seekers. 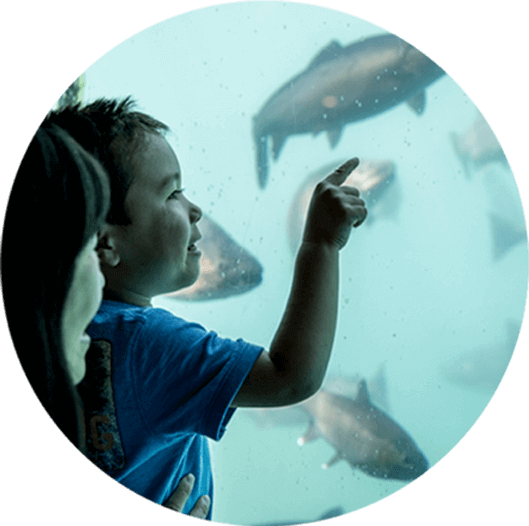 Check out the underwater inhabitants of Lake Wakatipu at Queenstown Underwater Observatory. Diving ducks, massive trout and slinky eels mix and mingle just metres from the lake shore. Informative story boards tell the Maori mythological history of the lake and the 60 year history of Jet boating with KJet while feeding the fish offers excitement for the fish as well as the viewers. Only KJet offers over 60 minutes of unforgettable thrills, spins and exhilaration across three waterways in one of the world’s most stunning locations.